Kilnwood Vale is a small development comprising just three blocks of 9 contemporary and spacious 2 bedroom apartments located off Rocky Lane on the town's southern edge. The apartments on offer have been built by Cross Construction for Landspeed Homes who are selling the six apartments located on the first and second floors on a Shared Equity basis. Shared Equity is unlike either traditional shared ownership or the government Help to Buy scheme as there is no rent or interest charged on the balance of the scheme. Qualifying purchasers can from 70% of the full price on the share purchase scheme. The first and second floor apartments are entered via their own secure entry system. Each apartment has been neutrally decorated with good quality carpets and floor coverings and fitted to a very high standard. The entrance hall has a built-in storage cupboard, a large open plan living space enjoying different aspects with views to the South Downs, a large sunny balcony and a kitchen which has a range of integrated appliances. 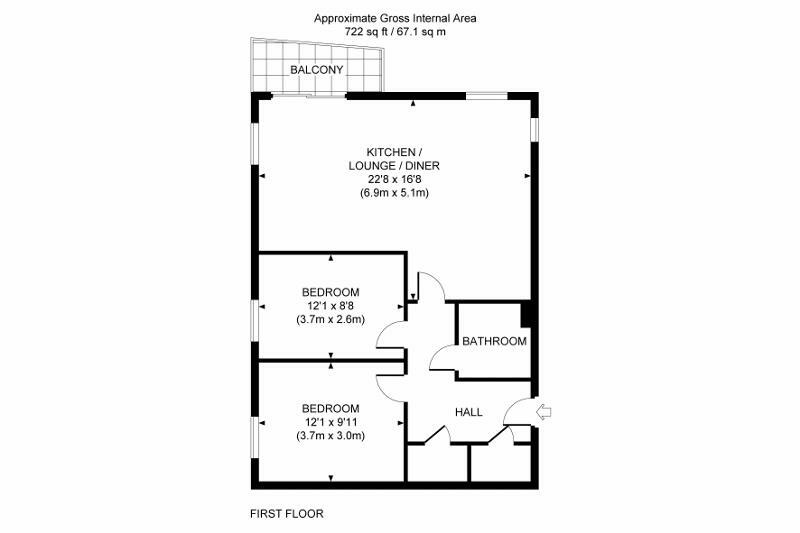 There are 2 generously proportioned bedrooms and a large bathroom. All windows are double glazed and and there is a traditional gas fired central heating system to radiators. Outside: there are well tended communal gardens, bike stores, bin stores and 1 allocated parking space per property with visitors parking. Mainline Station: Haywards Heath (1.8) providing fast commuter links to London (Victoria/London Bridge 47 mins), Gatwick Airport (15 mins) and the south coast (Brighton 20 mins).